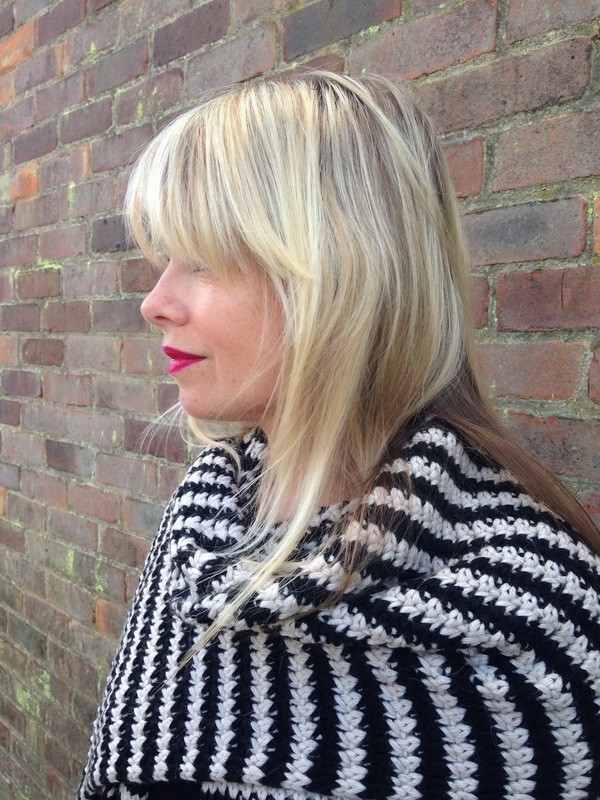 Style Theory: Warm, soft and substantial, my new Esprit cardigan for the cooler summer evenings and days. AW14 is going to be all about knitwear and this cardigan fits the bill, it is a heavy but very soft knit with a scarf attached for warmth. 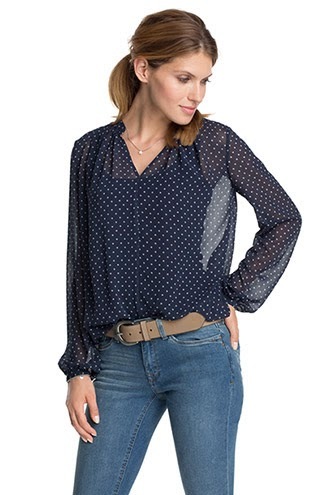 This is a fab little blouse, the sheer fabric ensures it hangs well and the blouse is gathered at the bottom, perfect for disguising a tummy like mine. I would wear this with skinny ankle length jeans and a pair of flat leopard print pumps or heels. Mixing spots and animal prints makes the look subtly edgier. The knee detail of these jeans makes them a little different from the basic skinny, it adds a biker look to them without being too full on. 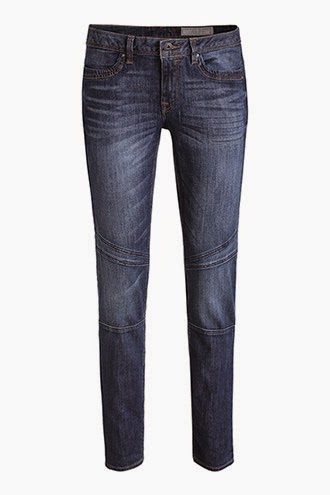 The dark indigo wash is flattering and I am a big fan of ankle length jeans..I have been chopping all mine to make them the right length this year leaving the bottom frayed. On the Autumn/Winter 14 catwalks capes were featured heavily (again!) This one would tick the trend perfectly. 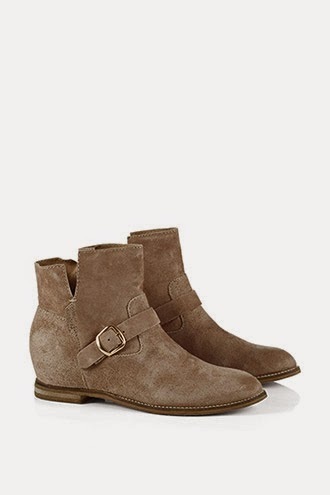 Love these suede boots, they have a concealed wedge inside therefore lifting your leg a little higher out the boot for a more flattering look, elongating your legs and making you that little bit taller. Perfect schoolrun boots. All fairly neutral colours, but mix them up with the palest pink or pale blue scarves to bring this season's colour palette into your outfit. Is Esprit on your radar, have you bought anything from there recently? 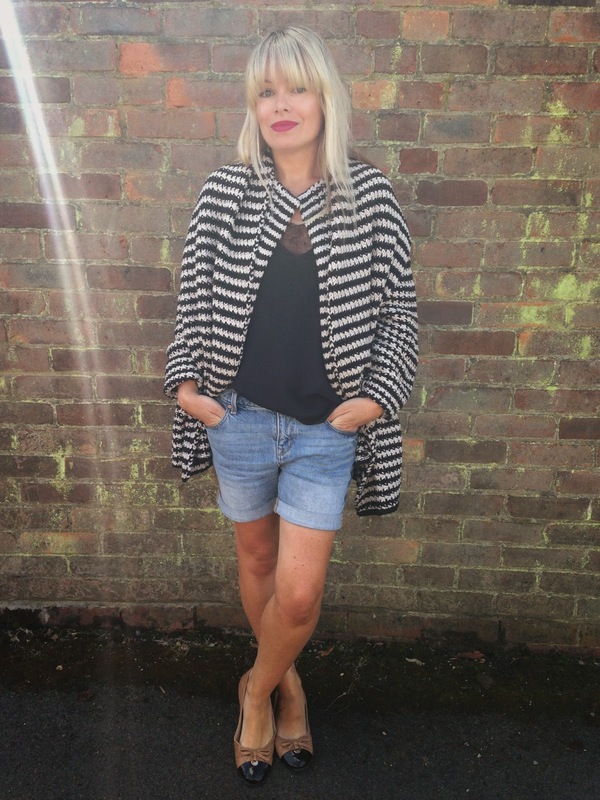 I have no doubt I will get lots of wear out of my cardigan, it has been so useful so far through these chilly summer days we have been having, seriously where did the summer go? That cardigan is gorgeous, I completely agree that Esprit has been off my radar for quite a while but the pieces you have selected are all fab and so wearable! I'll take a look at their site! That coat with built in scarf is BRILLIANT! It would be even better if you could detach the scarf for days you don't want the 'whole' thing. I have always loved Esprit! That is such a gorgeous piece - absolutely love it on you. Love that cape too! 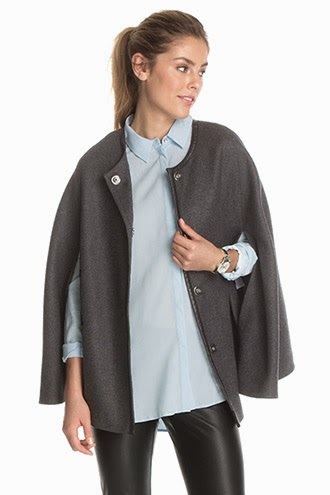 I haven't shopped in Esprit since I lived in France but that cardi is gorgeous! Oh how much do I love that cardigan - it is gorgeous! Looks fab on you! You do know how to pick your items! I love this because it's a bit different, and you look gorgeous in it! I haven't looked at Esprit for a while but I might take a look at that cardigan, love the scarf plus stripes. The boots are nice too but I Do Not Need Another Pair of Boots!